Call today for information about our hotel suites! Are you trying to plan a great weekend getaway? You're going to want to make sure that you've picked the right place to stay! When it comes to the various hotel suites found throughout Panama City Beach, FL, there's no better escape destination than here at the Spartan Inn! Most guests just can't seem to get enough this picturesque hotel. Call us today and make a reservation for your next family getaway! Staying at The Spartan Inn is the ultimate family getaway. You will always be presented with wonderful amenities and comfort at our family hotel. Our wonderful family motel is situated just off the coast. We present customers with easy access to Panama City, giving you an array of activities. 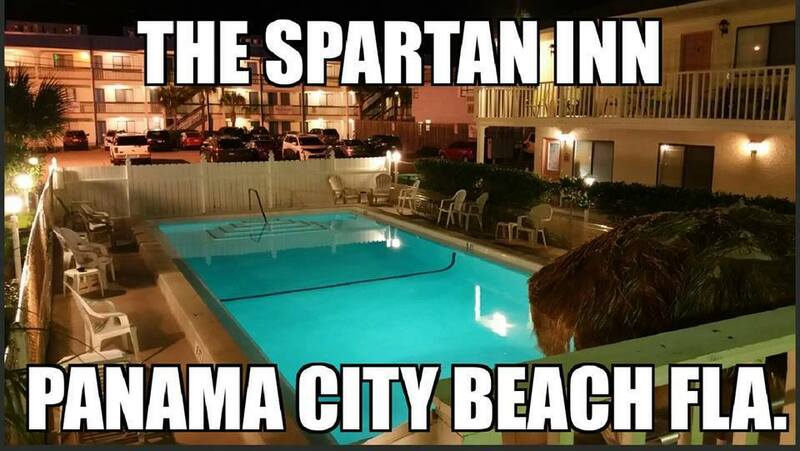 If you are looking for an amazing weekend getaway, call The Spartan Inn today and get the most of Panama City, FL! The Ultimate Weekend Getaway at our Family Motel! The Spartan Inn is a family owned and operated family hotel in Panama City Beach, FL that has also functioned as a local land mark. Our family motel remains as charming as the day we first opened. We can be found steps away from one of the world’s finest beaches. You are also able to visit site-seeing tours right near our family motel, which are great for tourists and locals, alike! Enjoy a serene pool, spacious rooms, amazing food, and more when you pick The Spartan Inn to be your family motel during your upcoming visit to Panama City Beach, FL. We are the perfect place for your weekend getaway. In addition to excellent customer service, we offer amenities that will provide the best comfort and experience. Our suites even come at an affordable price! If you want more details or wish to book a room in our family motel, contact us today. With Pier Park and beautiful beaches close by, it's hard to resist the charm and allure of our family hotel! Come see why repeat guests keep planning their weekend getaway at this Panama City Beach, FL landmark! Our Family Motel Just Can't Be Beat! We know how important it is to have a weekend getaway from work and other stressful responsibilities. The next time you decide to visit Panama City Beach, FL, choose the Spartan Inn as your paradise away from home. Our hotel suites top any other in the area. The next time you decide to have a family getaway, give us a call, we are the ultimate family hotel to stay at. Our motel suites will make you want to come back again and again! 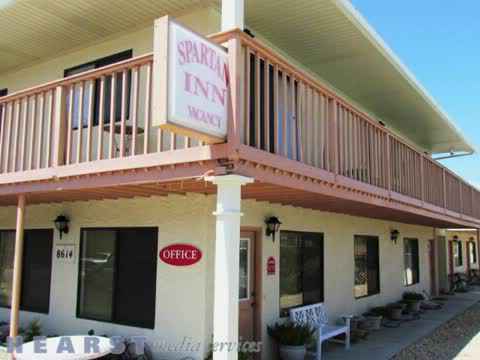 The Spartan Inn is a family motel, easily accessible and located in Panama City Beach, FL. The Inn features queen, double, and king rooms equipped with free Wi-Fi and other amenities such as a kitchen to prepare meals. All the guests can also enjoy the courtyard pool. The Inn also has ample parking space available. The guests can enjoy the sun deck at our family motel that offers a complimentary barbecue area or relax at the beach. The outside landscaping featured at the Spartan Inn is simply breathtaking! No other family hotel in the Panama City Beach, FL area can boast the same beautiful jasmine and ivy which adorns the walls surrounding the Spartan Inn pool. We Offer Extravagant Hotel Suites for Panama City Beach, FL! Calling The Spartan Inn suites “roomy” is an understatement. Each of our remodeled hotel suites retains a truly luxurious feel, that are kept ultra-tidy by our professional staff throughout your stay. All of our motel suites offer queen or king sized beds, as well as a kitchen to prepare meals. Looking for a spacious outdoor pool with sun deck? The Spartan Inn offers a beautiful pool and sun deck that also provides access to a complimentary barbecue area. To learn more about what our suites have to offer and to enjoy a cozy, relaxing escape to the beach, give us a call today! Dial (850) 234-8482 today to begin planning your upcoming family getaway. Whether you're interested in coming to our family motel to stay for a weekend getaway or to stay for a few weeks, the Spartan Inn is a great option for you! Make your next vacation to the Emerald Coast a memorable one. Speak to a Spartan representative today! If you are looking for a family hotel in Panama City Beach, FL, consider The Spartan Inn. Our hotel suites are perfect for your weekend getaway. Our quiet rooms contain a kitchen, microwave, outdoor grill, comfortable beds and spacious accommodations. Out rooms are changed daily and are remodeled with new furniture. We are affordable with plenty of amenities to keep everyone in the family entertained! We have a large outdoor pool, sun deck, outdoor patio and beach access. Our family owned hotel knows exactly how important family is, so call today to make a reservation!